ICAS will suspend the Summer Fellowship program in 2019 and resume it in summer 2020. The application information will be available fall 2019. If you are interested in the program or have any inquires, please write to us at icas@tuj.temple.edu. 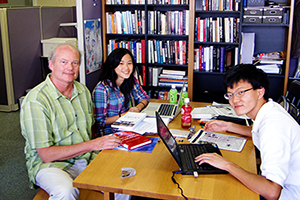 The Institute of Contemporary Asian Studies (ICAS) at Temple University, Japan Campus (TUJ) offers unpaid summer fellowships for undergraduate and graduate students at its campus in central Tokyo. If you have any questions about our summer fellowship program, please contact us. For comments and questions, please contact ICAS at icas@tuj.temple.edu.